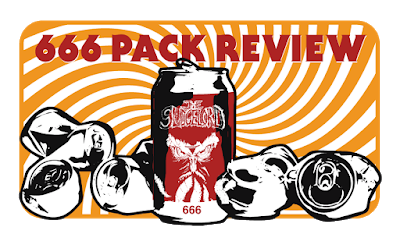 If you’ve been paying attention, the 666 PACK REVIEW is an abbreviated review column mostly focused on very new bands or bands that have submitted demo material to THE SLUDGELORD. The basic premise is that 6 bands are critiqued using only 6 words and on a scale from 1 to 6(66). What you see below is the best of the year 2018 for the 666 PACK REVIEW. There were only 6 bands that received the highest of ratings so please go give them some love by revisiting their music and their web pages. We at the THE SLUDGELORD hope great things come to them. Congrats and hails to those bands that made the list! Pelican meets Elder meets amber ale. Really digging the vocals. Hails Iceland! Shoe in for Psycho Las Vegas. Powerviolence, soundtrack to destroy things to. This is THE SLUDGELORD, you lost?